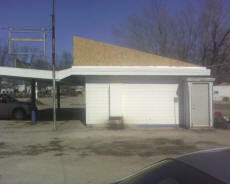 Cookees Drive-In Puts On A New Roof! Once we finished working on the aesthetics, we had to start on getting the building into shape. 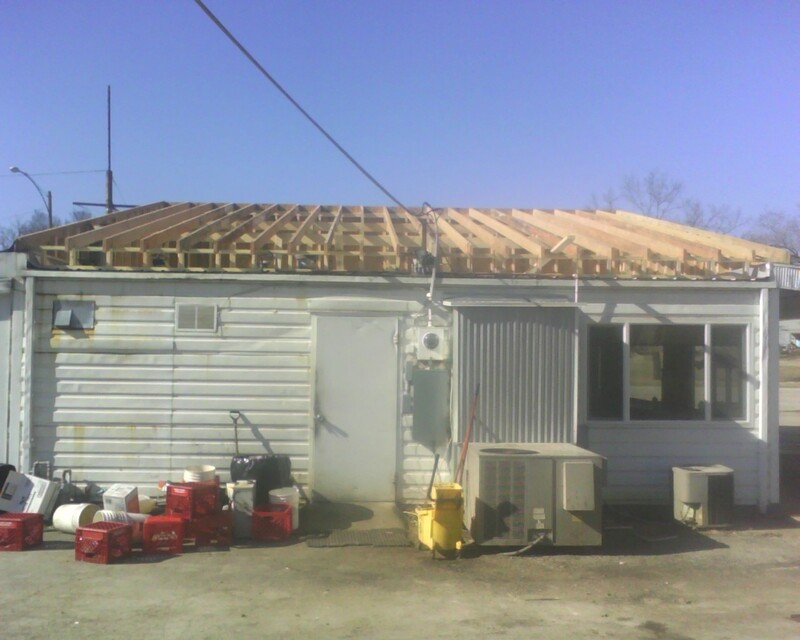 Below is our first project, replacing the roof! 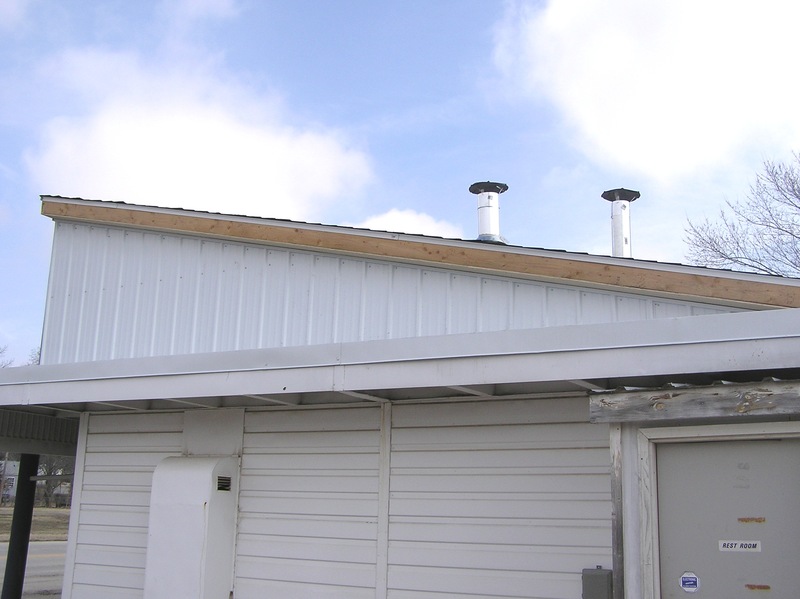 We were told the roof was new, which it may have been, but it was installed totally wrong. 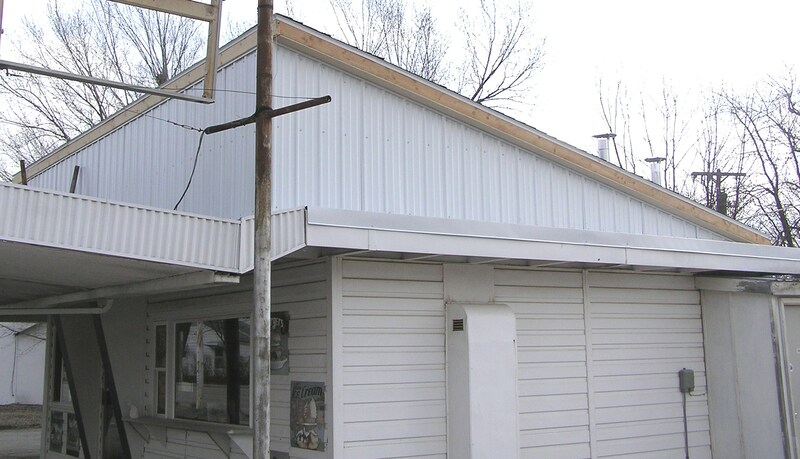 Flat, metal roof with lots of divots from screws put in much too tightly. 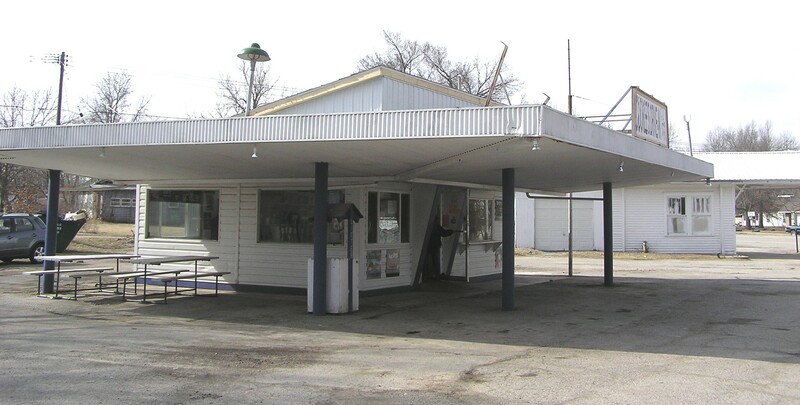 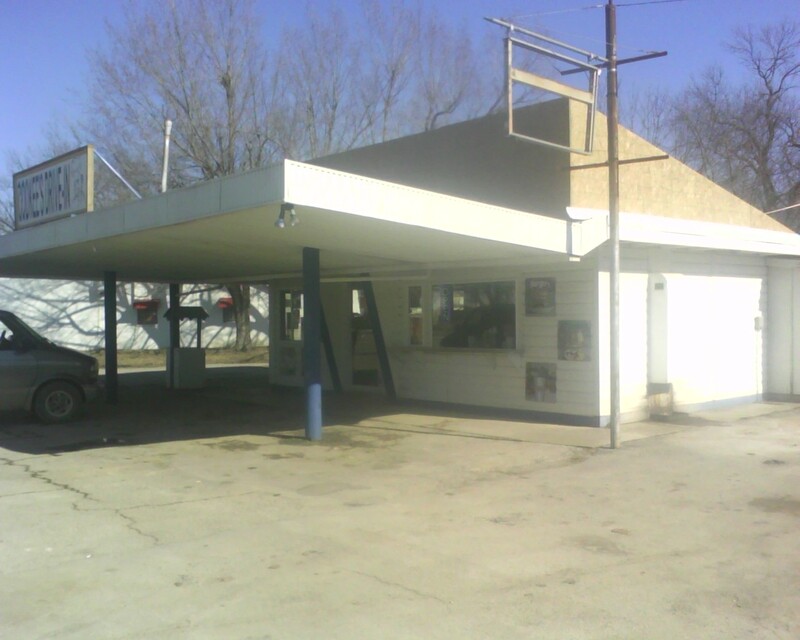 As the snow would melt, our drive-in would have at least 15 leaks! 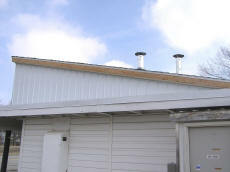 Our roof, being new, leaked terribly. 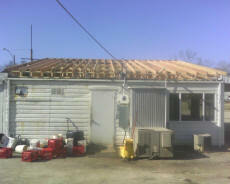 stages of the new shingle roof. will hopefully be Aug or Sept.